Below are some of our most frequently asked questions. To read the answers, simply click on the “+” sign. What can change the price of my move? Movers are allowed to change price if any circumstances change that was not written in the original estimate. Moving includes normal delivery with one-time placement of furniture. 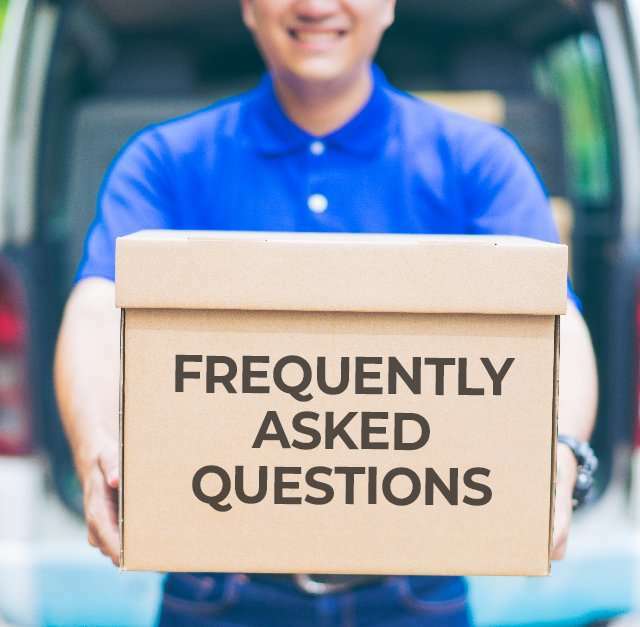 Additional charges may be incurred if unanticipated problems arise during your move, especially if known problems were not written on your estimate, such as hoisting or flights of stairs. You did not complete your packing, or added packing that’s not on the estimate. Your destination involves an elevator, long carry or flights of stairs. You have added or changed items to be moved, changed dates or add an extra stop. Rearranging furniture or re-stacking items in a storage area, basement, attic or garage. Delays beyond the mover’s control; such as waiting time for your closing, or traffic jams. How will I be charged for packing? Packing charges are based on the number of boxes packed by the mover. Added packing will change your moving cost if you did not get everything packed. Movers will not move loose items, they will pack them in boxes and charge you for the packing. To get an accurate estimate it is necessary to have a concise list of items to be packed by the mover at the time of your estimate. Be certain to have cash or certified check unless another form of payment is written on the order for service; have additional cash available in case of unexpected delays. Credit cards need advanced notice for pre-authorization, ask your mover what is acceptable before you move. What is not covered for damage? Documents, currency, jewelry, precious stones, furs, items of sentimental value, electronic data, and articles of extraordinary value. Damage caused by items packed by the consumer. Mechanical operating condition of televisions, appliances, computers and electronics. Missing items not inventoried at origin and documented as missing on delivery. Items previously broken, repaired, glued or too weak or unstable to move. Damages not documented at the time of delivery. If there are any damages, how long do I have to file a claim? Notify the mover immediately and document any damage at the time of delivery. For a NJ intrastate move, you must file a written claim for loss or damages within ninety days. Payment for claims will be based on minimum liability of $1.00 per pound unless you purchased insurance or additional valuation from the mover or a third-party insurer before the move. How much notice does the mover need to book a moving date? Most movers need at least two weeks’ notice, with a firm date; more time is preferable, particularly in the busy season (May to September). Call the mover if you have less notice. Are there any items I should not ship? Do not pack or ship ammunition, fireworks, flammable items, propane tanks, liquid detergents or bleach, aerosol cans or any other items that may cause damage to your shipment, and could void your insurance if there is a leak, fire or an unforeseen accident. How should I keep communications open on moving day? Confirm your address and directions with the mover. Telephone and utilities should not be turned off until the day after you move. If you have a cell phone, be sure to give the cell number to the office and the driver. Keep the lights and phones on in case the move goes into evening hours. Tipping is not required; however, it is a normal and customary practice and should be based on your satisfaction with their service. Should I provide food for the workers? You are not required to provide food, but it is a nice gesture. Realize that movers do all the hard work, often under difficult conditions, and they will need to take food and water breaks. You should provide water and designate a bathroom they can use, with soap and paper towels available so they can wash up as needed.